Stevie Nicks Demos and Comp. These are the Demos, Compilations and Interview that I have up for trade! 12..No Spoken Word - alt. version w/alt. Lyrics (3:57) "Be aware…." Stevie Nicks- Bella Donna era- WBCN Boston Backstage- This interview was done with Stevie and the girls. It's VERY funny. Stevie talks about her favorite artists and writing her "epic" songs. Stevie Nicks- Mirage era: Off the Record 1982: Some things Stevie talks about are her days before Fleetwood Mac, recording Bella Donna, and her passion for writing. She says something that makes a lot of sense too - how when if you go out in public wearing something that you don't really care for, you'll be self conscious about it all day. And then you'll complain...and Stevie says that bugs the heck out of her. "Just shut up! And buy a few things you really like." Stevie Nicks- Rock A Little: KLOS Interview with Jim Ladd- 2 part (2 disc)complete interview with songs included. Great interview!!! She tells what the songs on the album are about! *Stevie Nicks- Rock A Little era- Meaning Behind The Songs Interview- stevie talks mostly about the songs on Bella Donna. Also, some great remarks about Long Distance Winner. *Stevie Nicks- Rock A Little- WWOne Tour Special interview- Stevie tells what happens before, durning, and after the show. Radio commercials are intact as well as Stevie's songs. 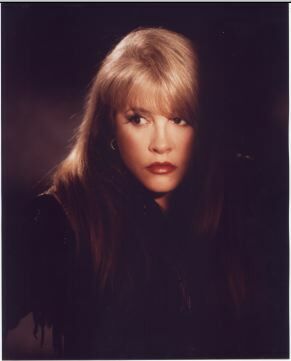 *Stevie Nicks- Othr Side of the Mirror- Reflections from the Other Side of the Mirror- ripped from vinyl. Stevie Nicks- Timespace: BBC Interview (interviewer calls the album "Timepieces" in the intro) 1991 (49:27)...Stevie talks about leaving Mac, Silver Springs, Mick ruining the future of the band, Robin’s death and her marriage to Kim Anderson. Has a live clip of Sara and Landslide. *Stevie Nicks- SYW 2003- KSLX Phoenix w/ Charlie Kendall (phone interview)- Stevie talks briefly about the SYW tour and coming to Phoenix. Stevie Nicks- KLOS Jim Ladd Interview 2005- Jim starts off telling Stevie how incredible she looks!!! Interview goes on talking about the upcoming shows in Vegas that Stevie is going to do 05/10/04- 05/14/05. States that she is going to sings songs that have videos to them because there are many “Imax” type video screens. She talks about bringing out all her old outfits and such because she saw Elton John and he “inspired” her to want to bring them all out again. Stevie talked about how “Mr. Buckingham” didn’t like her flamboyant style and wanted her to be more reserved for the SYW tour. Stevie Nicks- KLOS phone interview 7/22/05- stevie talks about her tour and that it started back in may in vegas and will end in vegas at the begining of august. Then she says that she is going to take some time off then go to Australia to do the same show but with a full orchestra. Stevie also talks about how she loves doing Rock & Roll and it is not going to leave the set list!